We have a gameplay trailer for you today, and it's chock full of side-strafing, rocket-launching whirlybirds. Forget dogfighting and space combat...a full-tilt top rotor is where it's at! 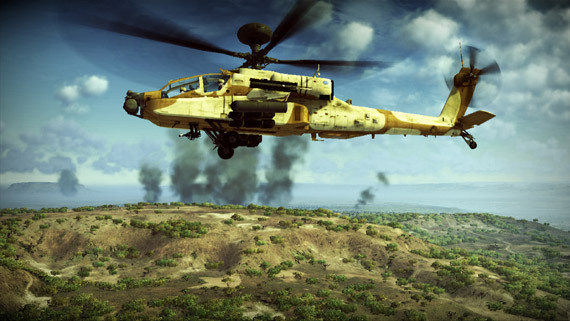 Okay, all jargon aside: Apache: Air Assault is building momentum for its upcoming November 9th release, and it's looking pretty good. The latest video - embedded in this post for your viewing convenience - shows off gameplay, cockpit views, fiery deaths, and more. Oh, and rockets...lots of rockets.